We have a new bank account and are fully operational, although currently only with PayPal. We are working on a Justgiving page as well. Meantime, you can help by keeping in touch with our web logs and by suggesting improvements or even new fund-raising ideas. The pastor of the village church at Lyamungo Sinde has been very active in his support role and has been working to the limit of his capacity to provide assistance for the children and their families. As in most of Africa, one of the mainstays of village life is the extended family and especially the ‘bibi’ or grandmother. In many of the families, the bibi holds the responsibility of caring for her grandchildren, even great grandchildren in some cases. She is also responsible for getting food on the table for everyone and usually but not always, has the resources of her small-holding to hand. 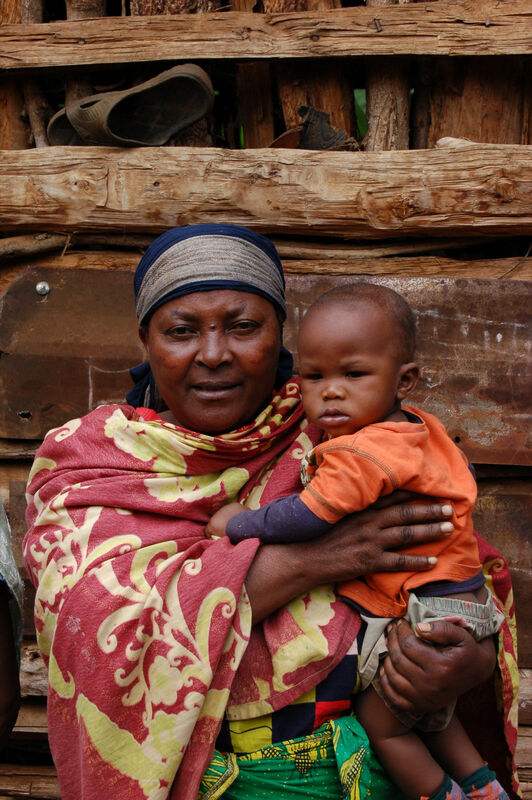 Pictured here is bibi Hanmina Lema and her grandson Kelvin, 6mo. So, keep us in your sights and make your suggestions, either by email or even just by posting your comment. We will get back in touch with our own suggestions as to how you can help. More soon.